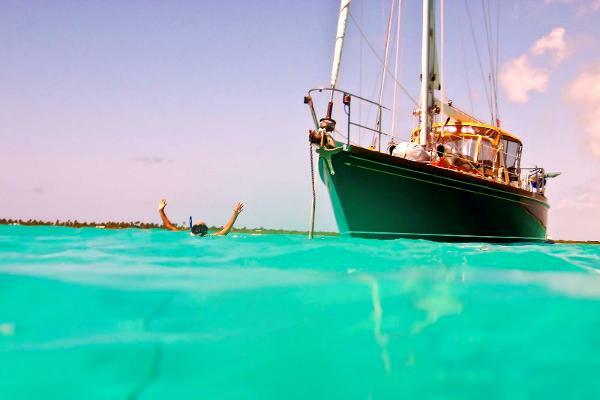 The current, and just the third set of owners of ANHINGA, have enjoyed ten years living aboard, sailing the east coast of the US, Mexico, Belize and the Caribbean islands from the Bahamas all the way down to Grenada, but it's time for them to return to shore. ANHINGA still exhibits the fine "bone" structure you would expect from a Bristol, with thick, solid glass hulls, intact cored deck, and beautiful craftmanship below. Storage abounds with cabinets, drawers and cubby holes everywhere. 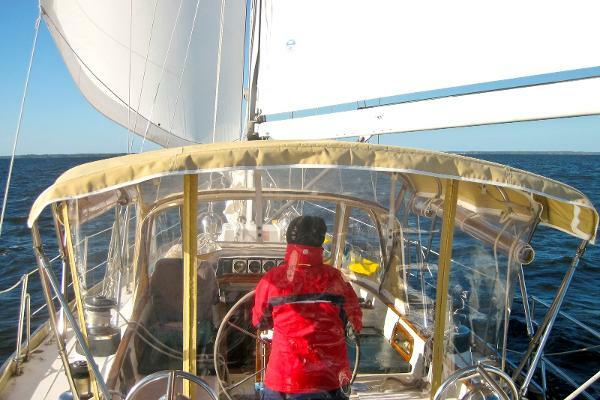 The reliable Hood roller furling mainsail mast, along with the versatile cutter rig, with a removeable inner forestay, make this centerboard equipped yacht a dream to sail. 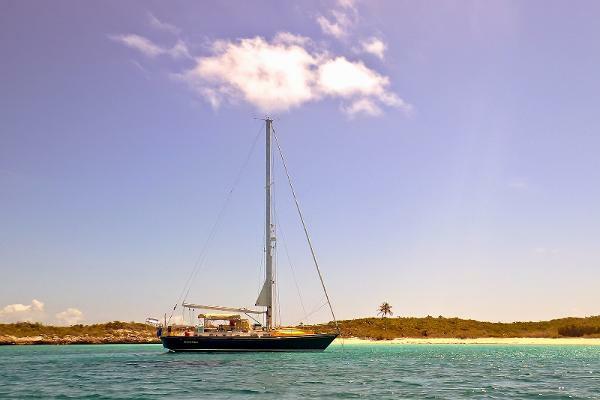 Outfitted for self-sustained living aboard (solar panels and a water maker), ANHINGA is ready for a few updates and improvements so the new owners can make this yacht truly theirs. The right buyers of ANHINGA will love her great looks, shallow water accessibility, and strong builder pedigree but also be anxious to freshen her up so that new cruising memories can be made. ANHINGA is currently in a mooring field and advance arrangements must be made to see this well-founded blue water cruiser inside and out.